Family can be defined as “all the descendants of a common ancestor.” For families that compete with firearms, it’s safe to say that our “common ancestor” is the early American patriot that sought out and embraced a life of freedom. 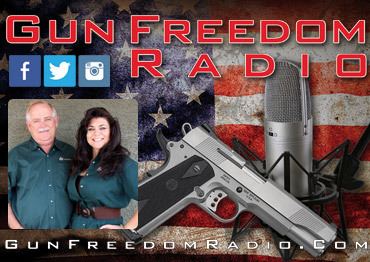 For modern day Americans, living free with firearms is a right that some take for granted. Highlighting our freedom to use firearms for hunting, self-defense and recreation is something that should be talked about in families; it is something that should be valued from childhood on as part of the fabric of America. Here are a few ways that we pass along our appreciation for the traditions and freedoms that we have. 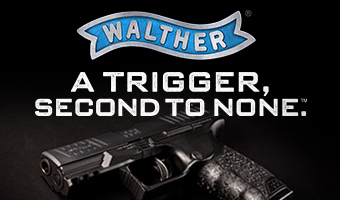 Home is where you clean your gun. 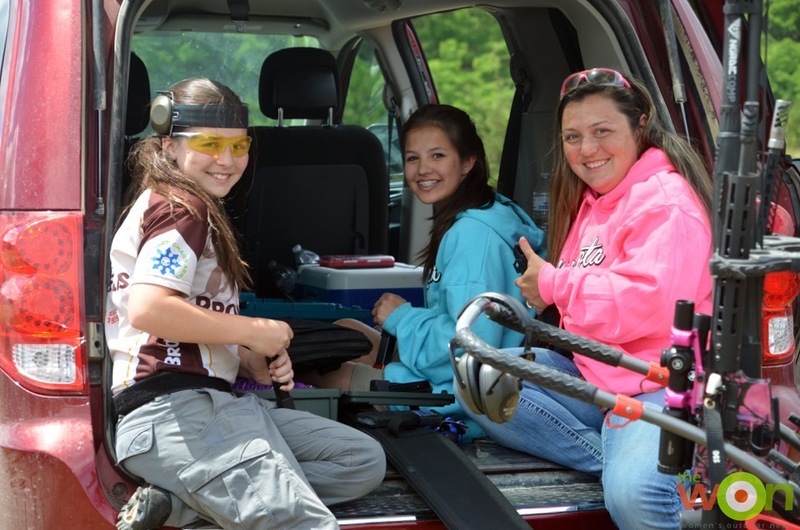 Sisters Natalie and Meredith Gibson with their mom, Laura, loading magazines for a stage at a 3 gun match. Even if your family doesn’t compete with guns, odds are that you hunt or keep a firearm in your home for safety. All 3 of these categories of gun-owners need to clean their guns. Teaching our families who are of an appropriate age and skill level how to clean guns is part of teaching firearms safety. For my family, cleaning guns is done weekly, and at some events, daily. We might share music, a non-alcoholic drink and snack while we sit around the tailgate of someone’s truck or the hotel room table cleaning guns. We might sit around a table on the zero range and clean guns at a match. It’s a task firearm owners can share with their families to both familiarize them with what and how their guns are stored and cleaned, and also, to reiterate the safe rules of gun handling. It’s also a time where you should never have ammunition around, and that makes this a low-stress way to teach kids about guns: what is the hammer? How does your favorite duck-hunting shotgun tear down so you can clean the action? Where do we put oil an AR bolt? Small things shooters take for granted, but tiny steps in being safe and responsible firearms owners that kids can take away from a half hour of helping Mom and Dad clean a gun. Lead is thicker than blood … and ketchup and everything else. 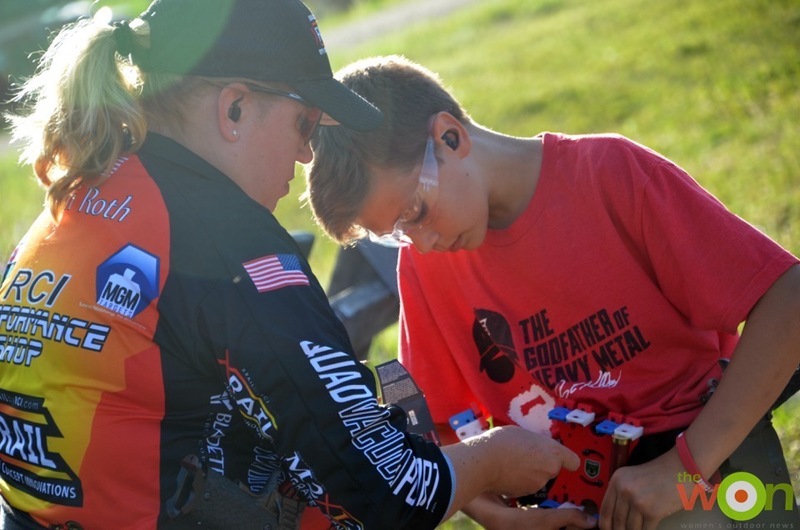 Mother and son, Cyndi and Rush Roth, working to adjust a shotgun shell holder on the range. 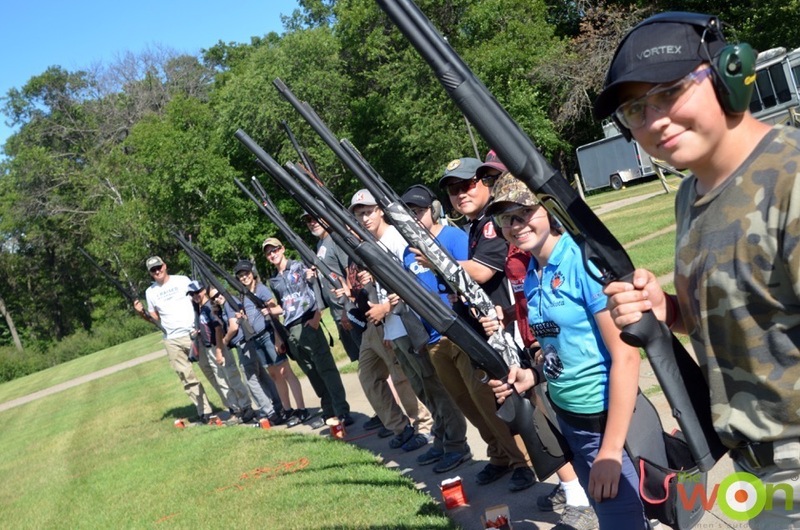 Kids learning about not just how to shoot, but how firearms work, and under the watchful eyes of their parents, is part of building a generation of responsible firearms owners, and moms can play a big role in this job. One of the biggest perks to involving your family in shooting, whether that is hunting or competition, is that you develop lasting bonds with people who hold the same values as you do. If blood is thicker than water, lead is thicker than anything! 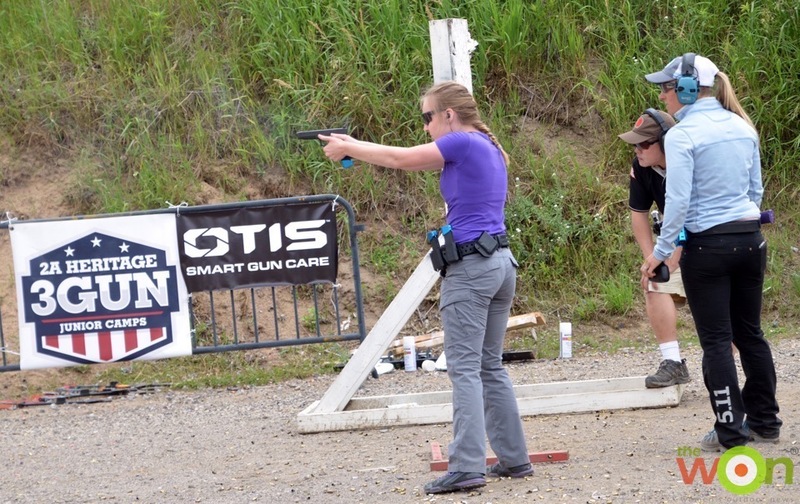 People who share time sending lead downrange share common interests and usually are in the same community, whether that is the hunting community, competition shooting, firearms safety or any other area where people who shoot and work with guns gather. Building friendships in those communities makes for a lifetime of friends and networks that are like family. Instructors Lanny Barnes and Gunnar An working with juniors on pistol skills at the 2A Heritage Junior camp. The networks found in shooting communities are like an extended family. For us, this often means a house where we have been invited to stop and sleep, a meal to share, a ride or road trip with a friend or two. The memories with those friends are often things our families treasure the most after we return from a trip. We even have made friends in other countries whom we think of as an extension of our shooting family. Juniors ready for an elimination round of trap, usually called an “Annie Oakley” round. One of the areas that shooting families stay close is in safety. 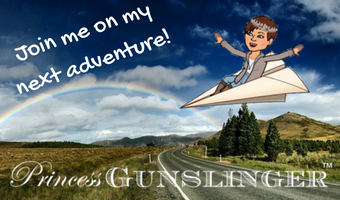 When we travel with firearms, we have to be more aware of the situations we put ourselves in. Are we making ourselves a target with our firearms, or are we storing and transporting them incognito so we do not leave our vehicles as huge targets? 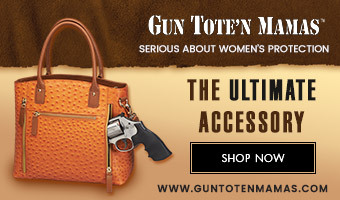 Do we walk into elevators and restaurants talking about what guns we have along and how we store them? 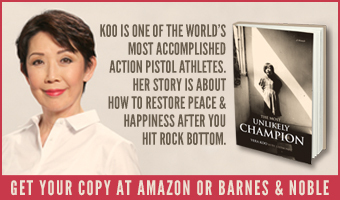 Do our kids talk at school about the firearms in their houses and where they are kept? 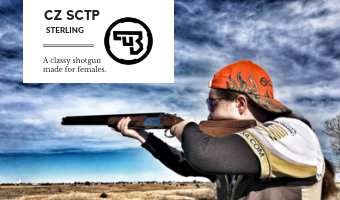 All of these topics come up in a family who is engaged in competition shooting and hunting. We learn to be discreet. Our own family vehicles are not covered in firearms-related stickers. We’ll stack our rifle cases on the bottom of the stack on the hotel luggage cart, because we don’t want to visually tell everyone we pass on the way into the hotel that we have guns – not that we don’t like talking about them, because we often run into husbands and wives who see our jerseys and want to know more about what we are doing. Our goal, however, is not to make ourselves targets. 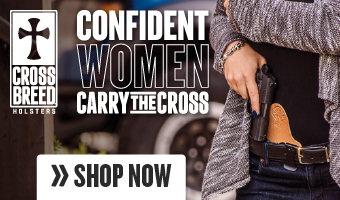 This is much like anyone who carries a firearm for self-defense. 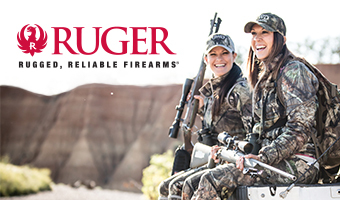 We dress appropriately and don’t advertise our firearms. 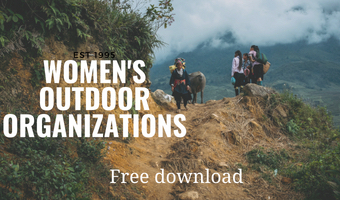 When we arrive at a hotel we take care to unload our car at the drop-off or loading area, and not to linger in a dark parking lot or go to the car at night alone. We truly are aware of our surroundings and we watch out for each other. One of the ways we watch out for each other is in caring for other families while we travel or are at an event. Just like hunting when you make sure your buddy left the woods safely, when you travel, you make sure your friends make their journey safely. You give rides to other kids who need them, you share your water and snacks. You adopt those on the range with you as part of a bigger family. This is a great life lesson, one that teaches kids to look past their own needs and consider others. 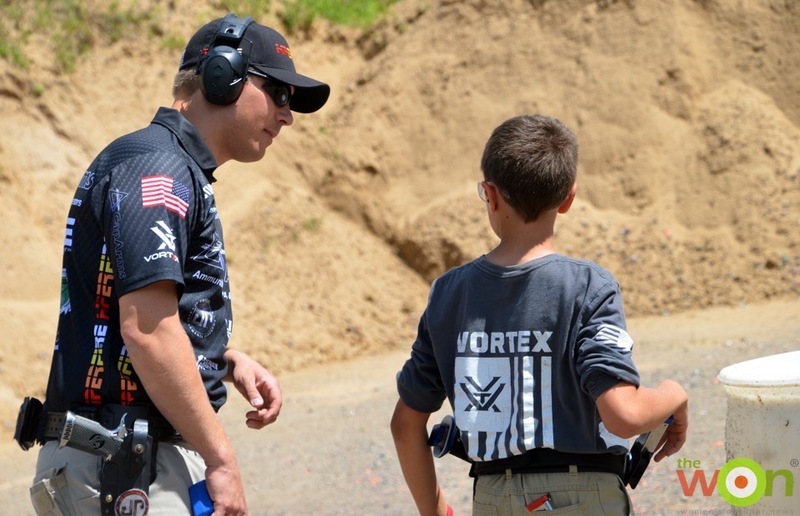 Adults working one-on-one is something that can be found in small clinics and camps, and is a great way for kids to improve their confidence, not just in shooting, but in any effort that requires them to think on their feet and be mindful of safety. 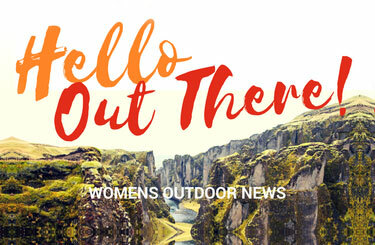 Sometimes on the range, you have to make do with the food, water, rain gear, or sunscreen that you have, and you learn to share and be the company that everyone loves in a miserable rainstorm … or, the friend with hand-warmers that everyone else forgot to pack. Sharing the small things, small events, small pieces of a day … that’s how friends on the range become family. They become the people there for those little things that add up to make a bigger whole. Realizing that the parts and pieces of a family can come from all over and make you whole, even if they’re not YOUR family, and learning to do that for others is something your kids, you, or anyone can take away from being involved in firearms. It is truly an important life lesson.